D. Anderson “Winning breeds winning.” D.A. got things “rolling” on his first drive with the offense capping it with a T.D. Unfortunately, Clausen could not get anything going with the third and fourth string guys. Clausen would be one of the players released. The Panthers had to part ways with Jimmy, deciding to only keep two QB’s on the roster. Jimmy was moved to the Waived/IR spot, some have guessed that either the Jets or the Bills may take a look at Jimmy. If Jimmy is picked up, Colby Cameron might be put on the practice squad. 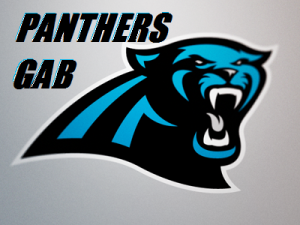 The Panthers kept (10) on the O-Line : (3) Centers; (2) LT’s: Jordan Gross and Nate Chandler; (2) LG’s : Amini Silotolu and Travelle Wharton; (2) RG’s: Garry Williams and Chris Scott; (1) RT’s: Byron Bell ; Garry Williams sub. C- Ryan Kalil (arguably the best in the league); Jeff Byers (*hurt—knee injury); Brian Folkerts Exp: 1; College: Washburn. With Travelle Wharton on the field it allowed the coaches to move around some players and an opportunity to take a look at the O-Line. Byron Bell was moved over to left tackle, where he took a few snaps. Rivera liked what he saw from Garry Williams, playing Guard and Tackle. “I think there were a lot of positives,” said Rivera. Wharton will help out the O-Line as well as guys like Chris Scott and Nate Chandler, who showed “some good things.” The hope is also to get back Amini Silatolu. FB’s- Mike Tolbert; Richie Brockel. Both players can be used to pick up the tough needed yards. Tolbert’s expected to play early in the season, hopefully week one. I thought the backs (Poole and Smith) “handled the work load pretty good,” said Rivera. Rivera would like to see Poole “secure the ball a little bit better.” The Panthers decided to waive Poole. Rivera said he would also like to see Smith run with a “little more vision.” “They both did a good job and they both contributed on special teams,” said Rivera. Smith has more ability on Special Teams. TE’s- Greg Olsen; Ben Hartsock; Brandon Williams. I am excited about this group. They have the ability to put up some big numbers. Out were A. Edwards and Gettis—both with hamstring injuries. Gettis was surprisingly put on Waived/IR. (5)DE’s : Mario Addison; Frank Alexander; Greg Hardy; Wes Horton; Charles Johnson These guys have a lot of talent. Looking for sack leaders in the double figures. (4) DT’s: Colin Cole; Dwan Edwards; Star Lotulelei; Kawaan Short. Star and Short continue to improve. They can put up some big numbers as the season progresses. Beason is still getting his reps and making strides to get back into his Pro-bowl caliber. Rivera likes what he is seeing out of Beason. “I saw a great athelete out there running around; trying to make something happen. It was a lot of fun to watch.” Beason, coupled together with Kuechly and Thomas Davis, those three can be very “formidable”, said Rivera. Rivera thinks our front seven can be “pretty good.” He also thinks that the back seven has done “a nice job” as well. Rotation is key when the season starts. It allows your players to have a “breather.” With the depth at the linebacker position, the Panthers can rest easy and allow some of their LB’s to rest knowing the array of talent that they have this year. Chase Blackburn can step in and give one of the trio’s a rest. Yes the only cuts I see would be to help out the O-Line and secondary. I have no idea what Gettis problem is so there not much I can say, nor do I know how A Edwards stands up against him. I can not say I have been surprised by anyone selection because I have no idea who is better then someone else. That said, Go Panthers and start pounding. Ginn made a name for himself and gave the Panthers the deep threat along with Smitty. With Gettis pulling a hamstring during practice before the last preseason game against the Steelers it hurt his ability to make the team. The Panthers have been bragging about A. Edwards and his progress all year. Gettis will more than likely be picked up and Armanti should have a good year putting up solid numbers in the #3 spot or 4 spot depending on the play called.